Endzone tells the story of how college football's most successful and respected program nearly lost it all in less than a decade, and entirely of its own doing. It is a story of hubris, greed, and betrayal, a tale more suited to Wall Street than the world's top public university. 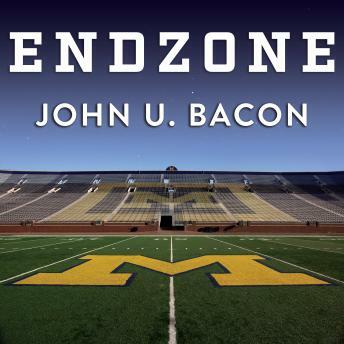 Author John U. Bacon takes you inside the offices, the board rooms, and the locker rooms of the University of Michigan to see what happened, and why, with countless eye-opening, head-shaking scenes of conflict and conquest. But Endzone is also an inspiring story of redemption and revival. When those who loved Michigan football the most recognized that it was being attacked from within, they rallied to reclaim the values that had made it great for over a century. The list of heroes includes players, students, lettermen, fans, and faculty-and the leaders who had the courage to listen to them. Their unprecedented uprising produced a new athletic director, and a new coach who vindicated the fans' faith when he turned down more money and fame to return to the place he loved most: Michigan.